Creating a rich interior full of aesthetic intrigue is all about layers, but those layers don't have to mean filling up your hideaway with loads of decorative clutter — just take a gander at this lovely little nook by Villa Styling. If you prefer a minimal approach, then mixing textures and prints is a great way to make your space compelling without the extra weight. Start with the most dynamic aspect of this room: the black-and-white seating cushions and pillows on the back wall. Instead of a table that would only interrupt the flow of this airy design, a subtle tray brings in needed function without disrupting the lightness of the look. Meanwhile, a pair of opposing rattan chairs carry the black detailing of that bold fabric in their bases, and the round mat brings the feel of their woven chairs to the floor. If you're not quite sure how to mix patterns and textures effectively, a no-fail tip is to follow this placement: group textures and patterns together, and then position them as eye-catching foils. Done and done. 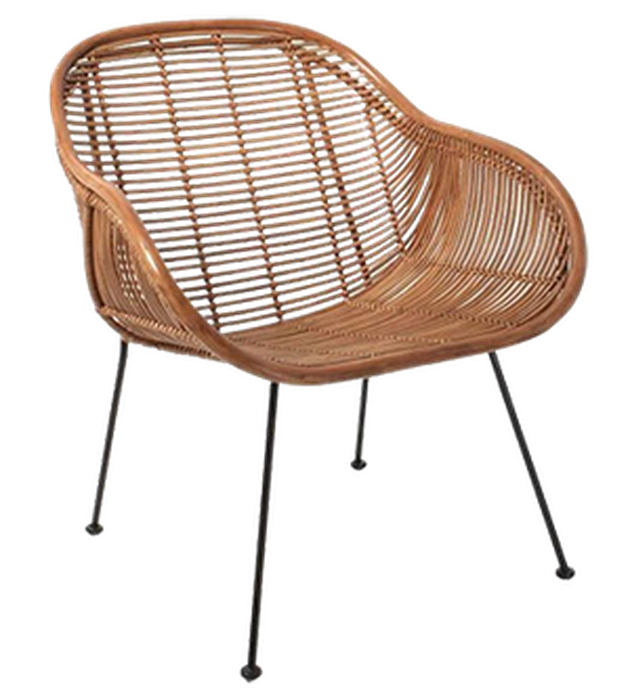 Love the look of those rattan chairs? Bring 'em home today.